Art 8 - This semester-course is designed to offer art experiences to both beginning and practicing art students. Art projects are created in a variety of media that reinforce art vocabulary, the Elements of Art and the Principles of Design. 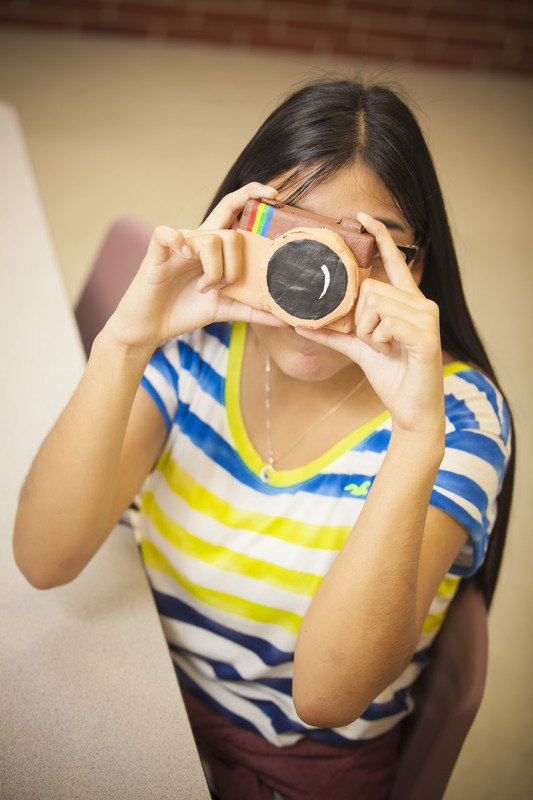 Foundations in Art I Ninth Grade - This year-long course is designed to offer art experiences to both beginning and practicing art students. Art projects are created using a variety of media including painting, drawing, printmaking, and sculpture. Textbooks, magazines, and internet resources are used to introduce students to art vocabulary, art history, and art criticism. 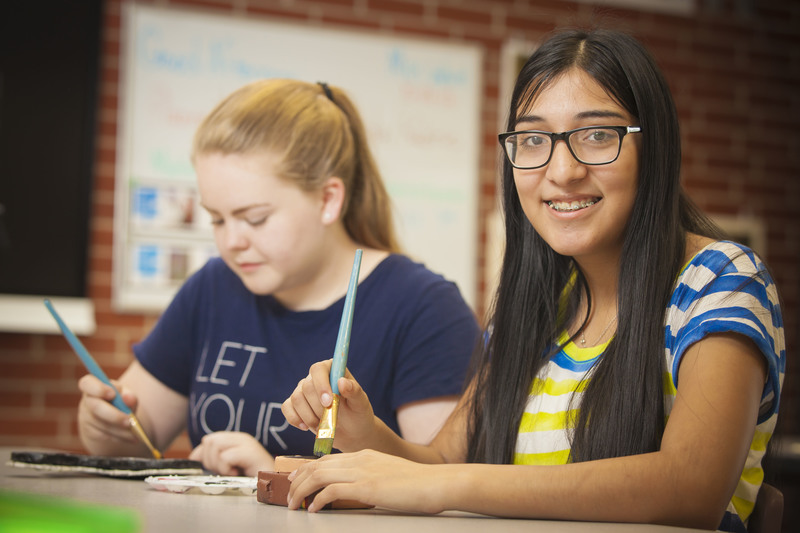 Advanced Art Ninth Grade - Entrance to this year-long course is based on a completed student application form and teacher recommendation. Students will work in and research a variety of media based on the AP Studio Class format. 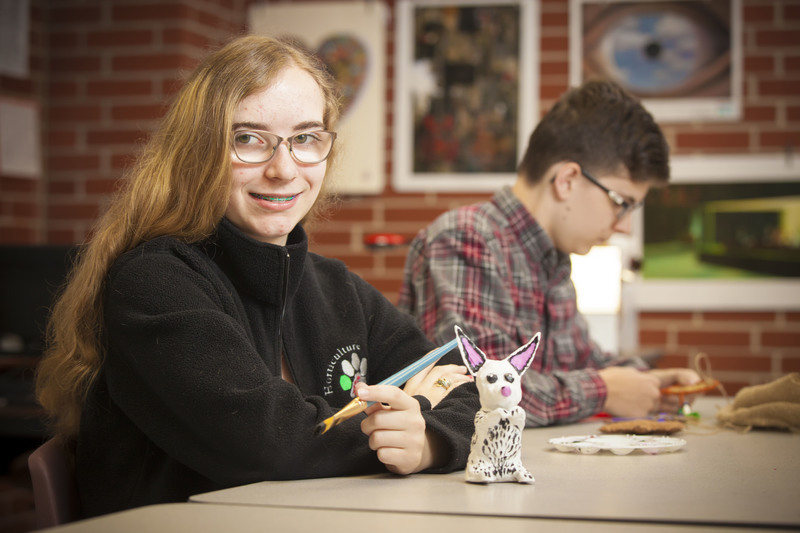 Students work using the Elements of Art and the Principles of Design and create high-quality work for display in a variety of local and regional art shows. The pace of the class is challenging and students are expected to be self-motivated. Homework is regularly assigned. Intro to Theatre is a year-long look at the many jobs and roles in a theatre program. Students hone practical career skills such as communication development, script analysis, set design, spatial organization, and problem-solving. The curriculum is designed around four scripts that are read in class and supporting materials, including monologues, skits, and short scenes. The scripts include: "It's Not Me, It's You," "Death of a Salesman," "The Importance of Being Earnest," and "The Effects of Gamma Rays on Man in the Moon Marigolds." Students keep a journal and reflect on class performances throughout the year. Oral Communications is a semester-long course. The course consists of classroom speeches, research projects, communication model analysis, and ACT vocabulary. Students deliver an (expository) informative, persuasive, impromptu, and demonstrative speech. Students keep a journal detailing classwork, notes, growth, and reflections that accounts for a portion of their grade. Students are responsible for proof of their growth and are required to rehearse, tailor, and evaluate their own speeches using the skills we learn in the classroom. Band is open to all students who have successfully completed previous band experience. All band students participate in both marching and concert bands. The marching band performs at home football games, marching contests, and pep rallies. All band students are expected to attend pre-school marching band rehearsals, which begin in early August. The concert band presents formal concerts each year and competes for both group and individual honors at regional events. Due to the band being split between two class periods, there will be additional practices outside the regular school day that students will be required to attend. A band events calendar is sent home during pre-school band that lists all required events for the entire school year. The band strives to represent the school and community in a well-disciplined manner as the “Pride of Russellville Junior High School.” Band is considered an academic course. Students participating in band receive letter grades. Band members must pass four academic courses, three of which must be core courses (English, math, science, social studies), in order to remain academically eligible to participate during the second semester. Students are expected to participate for the full academic year. There is a required annual uniform cleaning fee of $20.00 for all students at the beginning of the school year as well as an instrument rental fee of $15.00 per semester or $30.00 per school year for students using school-owned instruments. Beginning band is a course available for those students who have never been in band. Students will select an instrument the first week of school. Students will be encouraged to select an instrument that will help the junior high or high school bands instrumentation needs. Students who successfully complete beginning band will be allowed to join their classmates at the appropriate level in the band program the following year. 9th Grade Choir consists of Advanced Female Chorus, Advanced Male Chorus, and Select Mixed Chorus. Students compete in events at the region and state level, such as All-Region and Choral Performance Assessment. All students must be deemed eligible by the Arkansas Activities Association to compete in these events. The students also perform several times during the year. Emphasis is placed on music literacy. Students at RJHS use a combination of the solfege system and Kodaly to read music. Choir is an academic subject in which students receive a letter grade. 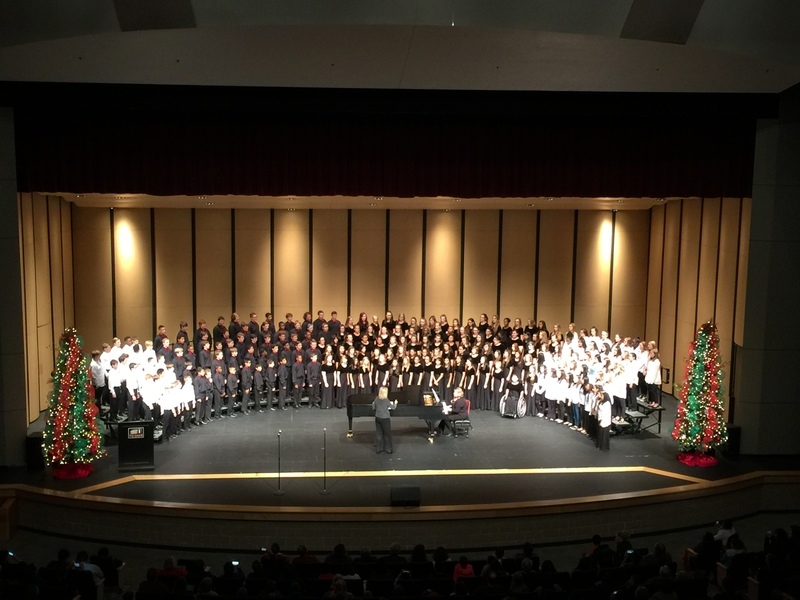 8th Grade Choir consists of Advanced Female Chorus, Advanced Male Chorus, and Select Mixed Chorus. Students compete in events at the region and state level, such as All-Region and Choral Performance Assessment. All students must be deemed eligible by the Arkansas Activities Association to compete in these events. The students also perform several times during the year. Emphasis is placed on music literacy. Students at RJHS use a combination of the solfege system and Kodaly to read music. Choir is an academic subject in which students receive a letter grade. Band performs at the annual Christmas concert. Ten ways to survive the zombie apocalypse.